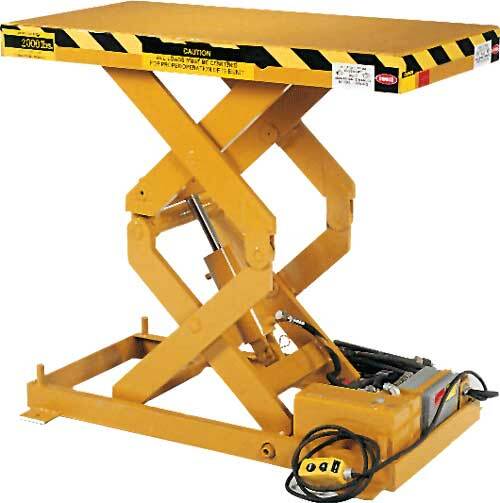 CLT series Lift Tables are heavy-duty electro-hydraulic scissor lifts with small platforms and high travel for an infinite number of applications. 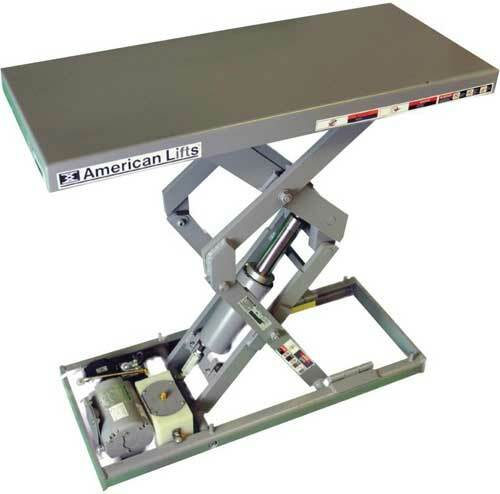 Load capacities are 2,000 to 6,000 lbs., travel distances of 36" to 48" with platform sizes of 24" x 36" to 48" x 84"
CDL Series Compact Double Scissor Lifts are highspeed electro-hydraulic scissor lifts with capacities of 500 to 2,000 lbs., travel distance to 36" with platform size of 18" x 36" to 30" x 60"
Exceptionally narrow leg stance allows these lifts to perform applications in areas with floor space constraints or possible interference with surrounding equipment. 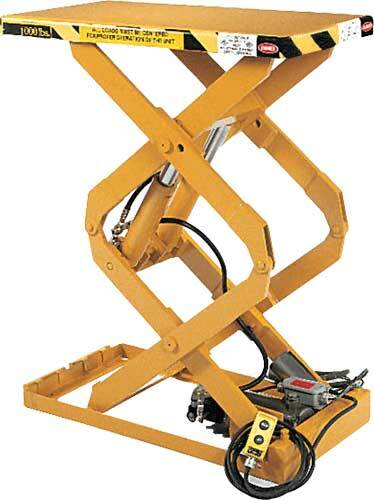 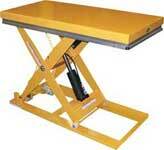 Autoquip S35 Low Profile scissors tables are the most stable, durable, and compact scissors lift in the industry. 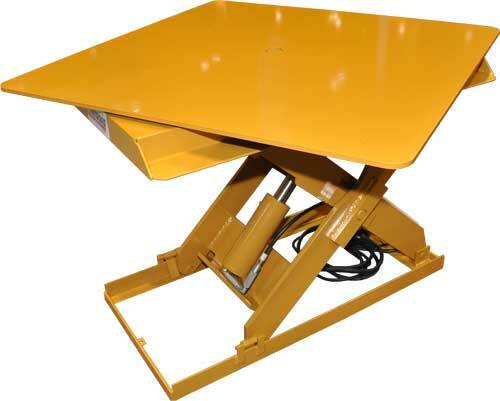 They offer travel ranges from 24 to 48 inches, heft capacities up to 4,000 lbs., and are manufactured to the highest standard of safety and reliability. 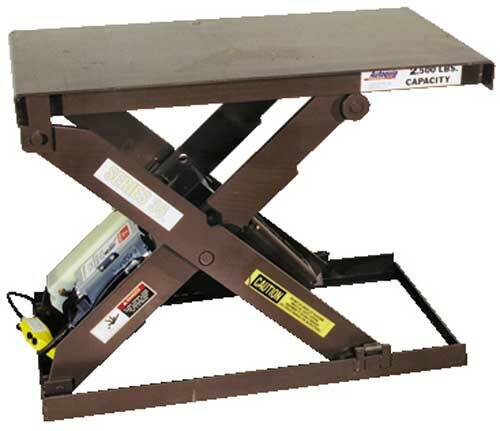 Designed to support smaller lift projects with capacities large enough to get the job done right, Autoquip offers the original Compact lift table.